AT&T invested more than $3-billion in our Illinois wireless and wired networks during 2013 – 2015. These investments drive a wide range of upgrades to reliability, coverage, speed and overall performance for residents and businesses. They also enhance critical services that support public safety and first responders. “We’re committed to providing our customers fast, reliable, highly secure connectivity throughout the state. We want them to be able access the Internet at any moment, from almost any device and anywhere,” said Paul La Schiazza, president, AT&T Illinois. “Our continued investment in Chicago, the suburbs and downstate brings a host of new, innovative opportunities for Illinois residents and businesses. “Modern communications networks are essential for how we live today. They help our citizens learn, find a job, connect with family and friends and contact public safety officials and other emergency responders,” said Congressman Adam Kinzinger. In 2016, for the second year in a row, FORTUNE magazine recognized AT&T as the Most Admired Telecommunications Company in the world. AT&T also placed #48 among the Top 50 World’s Most Admired companies. It is the company’s third year in a row on the Top 50 list – AT&T is the only communications company on the list. AT&T ranked #1 in all 9 attributes. 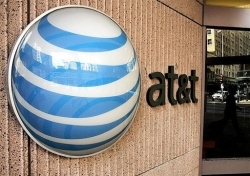 AT&T has big plans for 2016. AT&T will be giving you the ability to access and stream DIRECTV video services over a wired or wireless Internet connection from any provider and from virtually any device – smartphone, tablet, Smart TV, streaming media hardware or PC.